at 21st Century Museum of Contemporary Art, Kanazawa now. 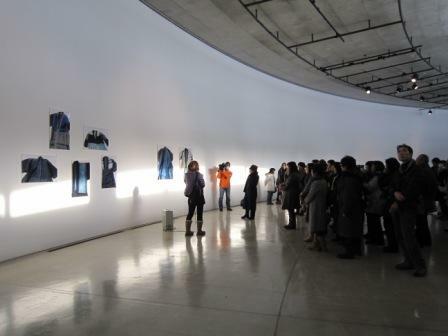 OH shows photo works which was created and shown at the exhibition “OH Haji × Aomori City Archives Exhibition Gestures in Clothing” ACAC on Feb – Mar 2013. 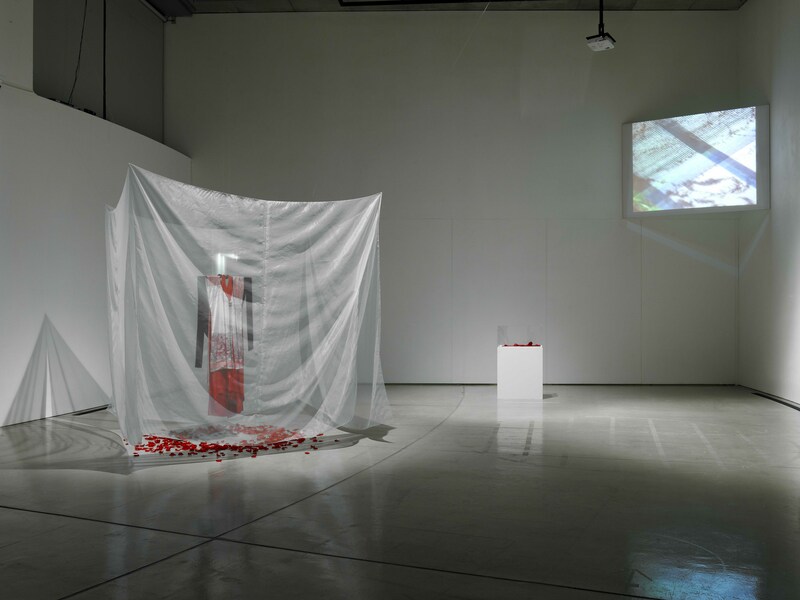 She focused on “Kogin”, the old cloth in Aomori, and made the photo works and also showed the “Kogin” itself. 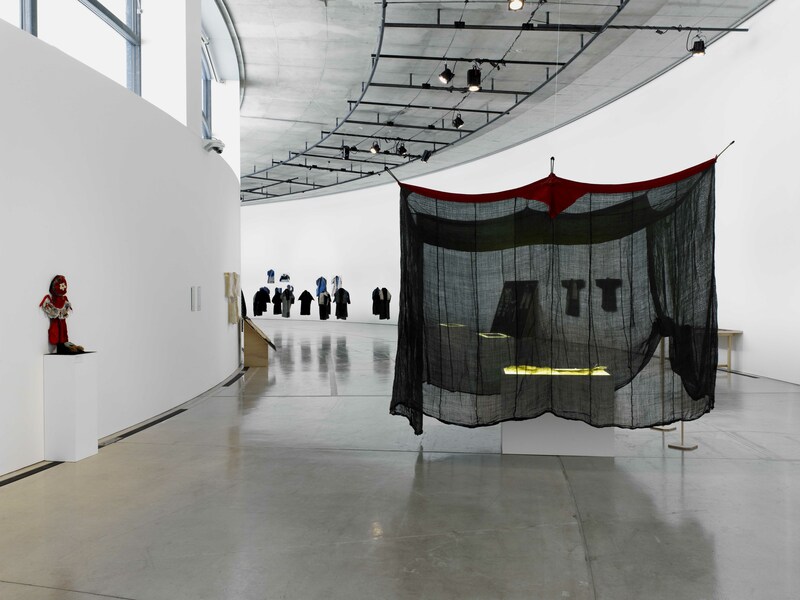 She shows same photo works and “Kogin” in Kanazawa, too. 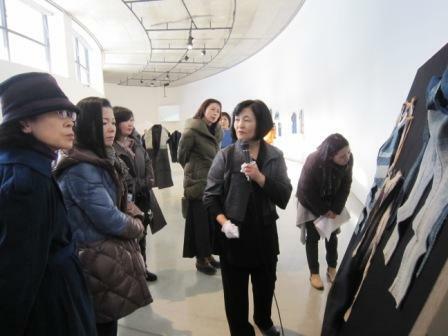 February 10th is the opening day, and we held Artist talk by OH Haji, MURAKAMI Asako, and MIKAMI Yoko, a expert staff of former Keiko Kan Museum. 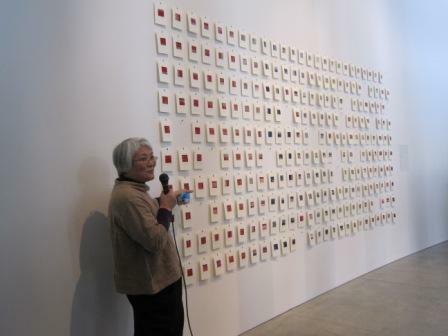 Explanation by Ms Mikami about Kogin-zashi or Hishi-zashi. 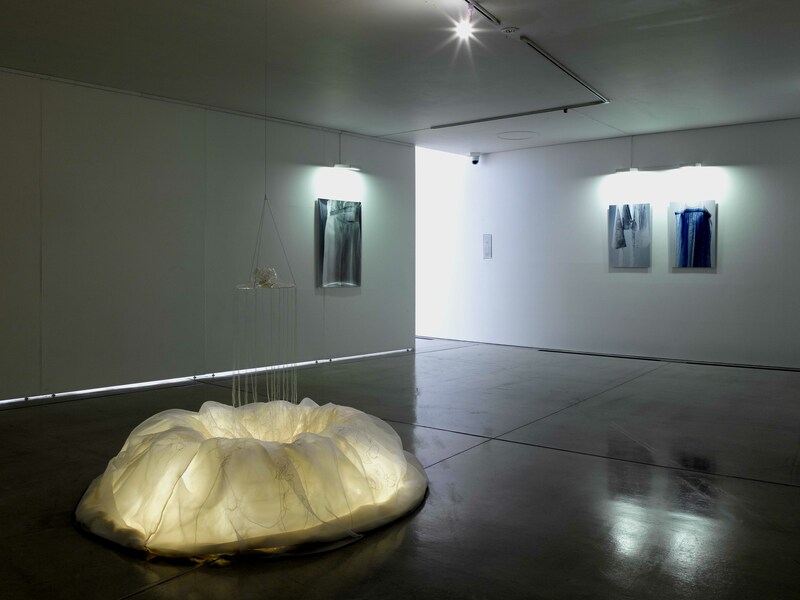 These exhibitions is held until 16th March. 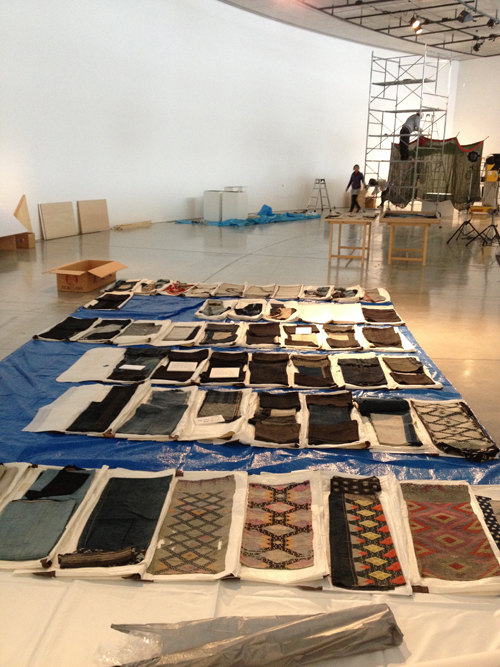 We are installing for the exhibition “OH Haji x Aomori City Archives ‘Gestures in Clothing’ ” now. 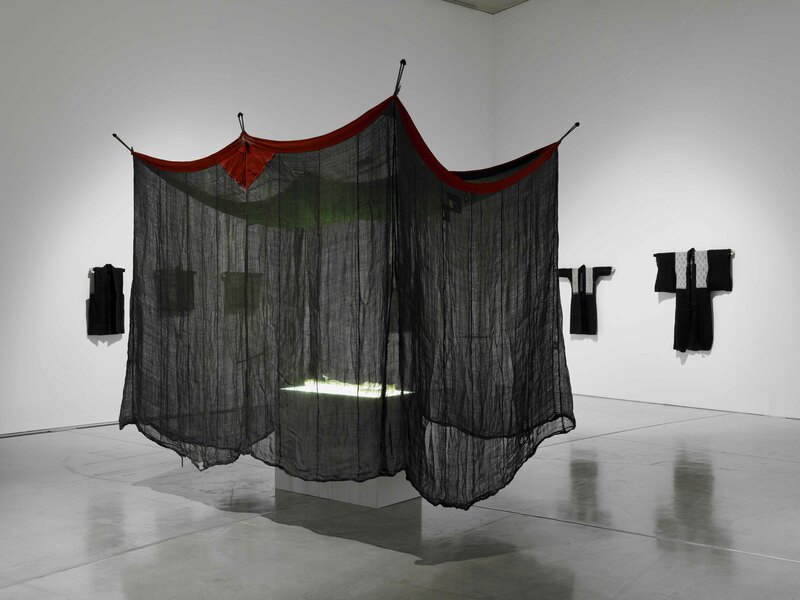 The Aomori Contemporary Art Centre (ACAC) will exhibit traditional Kogin-zashi and Hishi-zashi works made primarily of hemp fabric, which give us a glimpse into the histories of the individuals who owned and wore them: work clothing, undergarments, and mosquito nets among other commonplace objects. OH Haji’s past works and newest photography will also be on display. 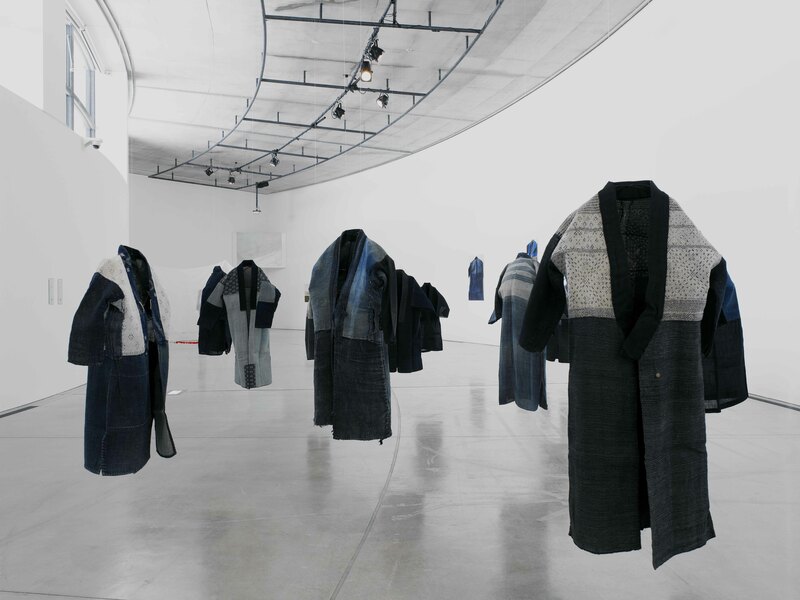 It seems like a big installation work by Haji’s work and traditional craft. 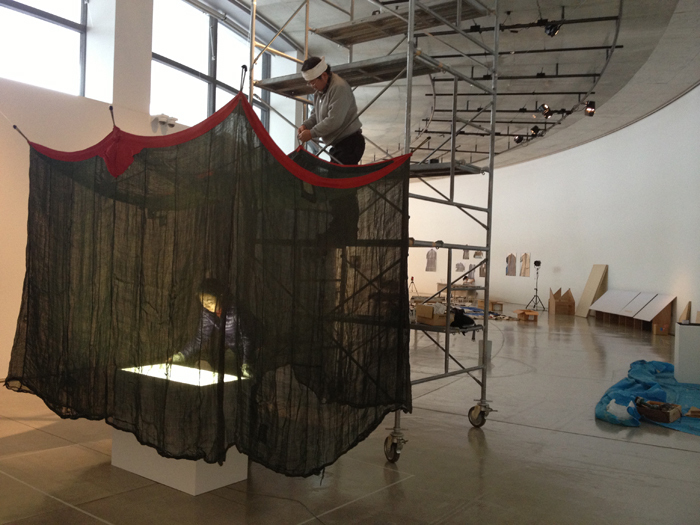 This is a mosquito net from Aomori City Archives. Haji inspired from its historical trail and found the concept for the exhibition. The shapes which emerge from frayed and worn-out fabric. There you can find the memories and evidence of their former owners–in the gestures of these vestures. OH Haji arrived at ACAC yesterday. 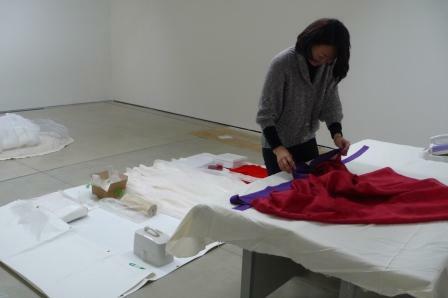 She started preparing for “OH Haji × Aomori City Archives Exhibition “Gestures in Clothing”. It starts 10th Feb.